We had another low key weekend around here. David was out of town getting scuba certified for his big scuba trip in San Diego with the boy scouts next month so it was just me and the boys. We spent lots of time outside just laying in the sun, relaxing and eating oranges off the tree. I've forgotten how wonderful the days are here this time of year. We constantly drive with the windows open and love the fresh air. 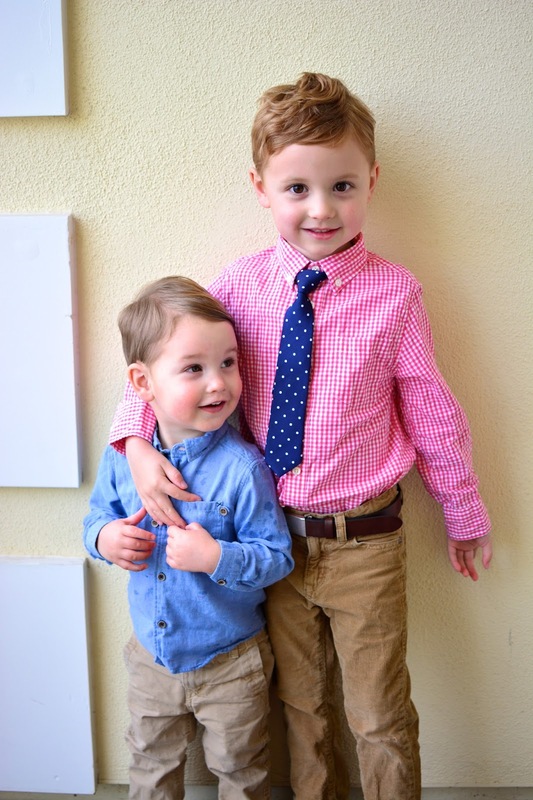 These boys are the cutest boys I ever saw and I love getting them dressed for church on Sunday. Here's this week's picture of them just before we booked it to church and made it just in time. There's a couple that sits behind our pew every week that Fritz loves. I've known them my whole life (the wife was my piano teacher for years) and every week, Fritz reaches for "Grandpa Thacker" and dives over the pew to get to him. I hope they don't mind but we sure are grateful to have them be our surrogate church grandparents! 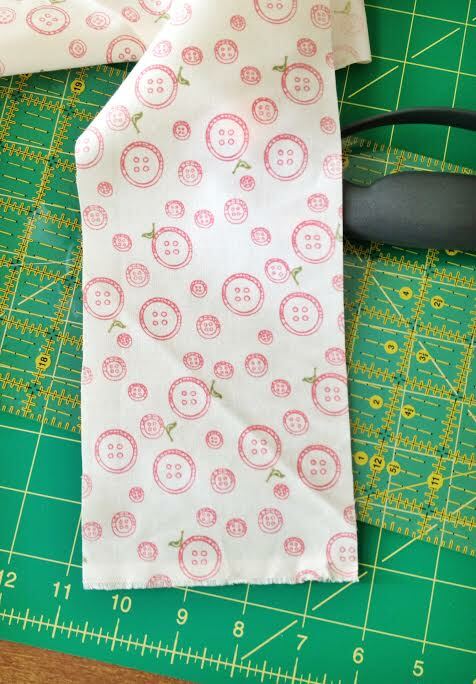 isn't this little button fabric so cute? Every other spare minute for me this weekend was spent working on my new project: a quilt for baby girl! One of my "30 Before 30" goals was to make a quilt and it has been equal parts exciting and frustrating. 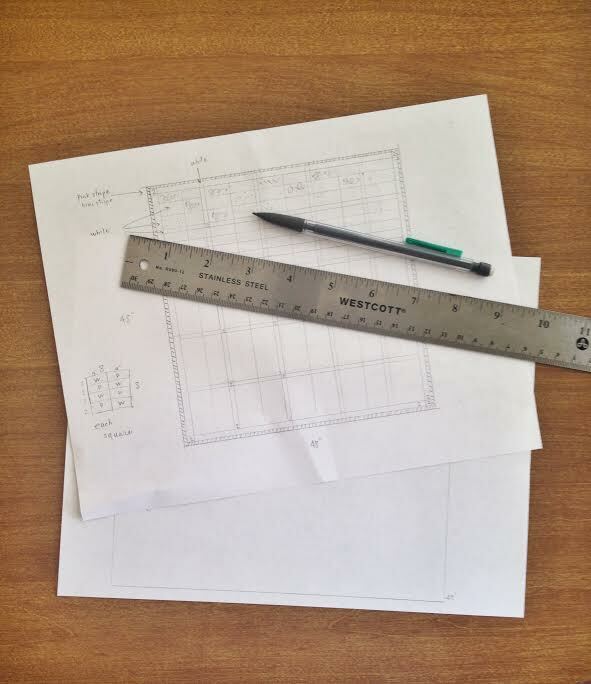 I had a full-blown cry fest the other day when I was trying to figure out the math of this project. I am so bad at math and could not figure out these unnecessarily complicated (and, wrong, mind you) equations that I had made for the yardage I would need. I felt like such a fool... but luckily David, my engineer husband, came to the rescue and explained it all to me and helped me fix my mistakes. Added to all his other qualities, I think he would make a pretty decent math teacher. He was really patient with me, even when this experience brought back a lot of 10th grade algebra anxiety and I started to emotionally freak out (not unlike my 10th grade self). Ha! Anyway, it's good to have a project for me to work on creatively and also to help my brain not to atrophy! :) I hope it turns out!!! Lizzy, David will LOVE scuba diving, you should think about joining him. I feel closer to God underwater than anywhere else in the world. How magnificent is His creation!!! I had to laugh because I make my husband do all the math for my quilting projects too. love the nod to downton abbey in the title!